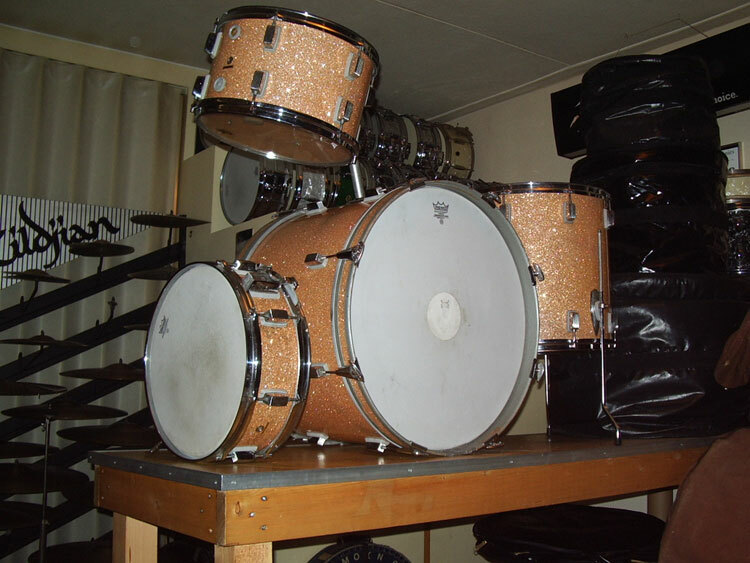 Measures: BD 22 x 15, TT 13 x 9, FT 16 x 16 and SD 14 x 5. The pictures show the good things here are the details: The Champagne Sparkle finish has some small scratches and little dark spots, no splittings and no cracks. Some of the grey plastics behind the lugs are cracked but still functional. 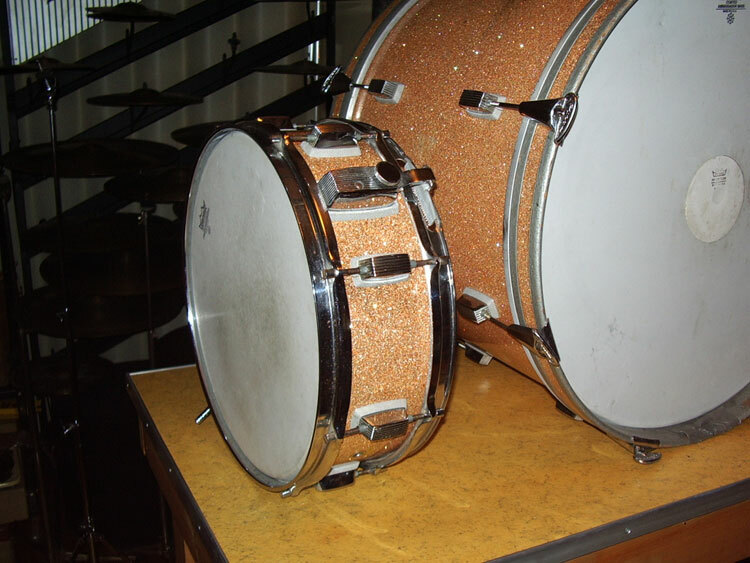 Bass drum hoops are scratched from pedal etc. but have the inlay. Note: the middle Trixon tomholder is added later, not original. 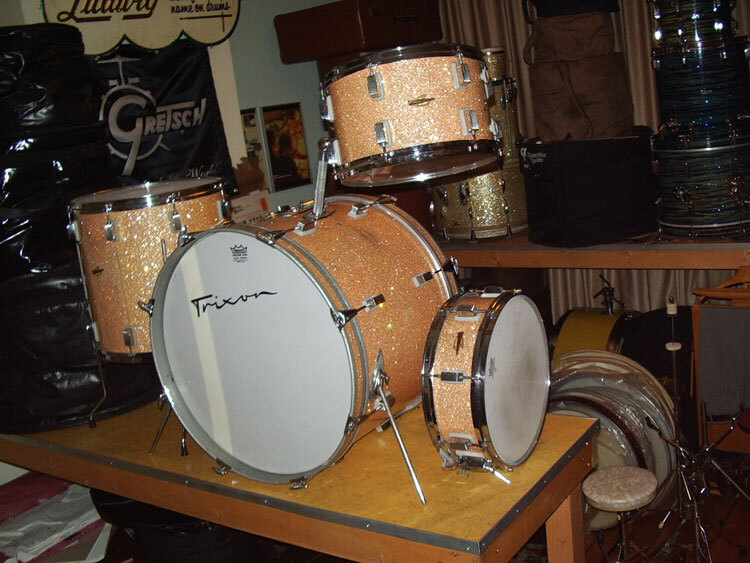 All shells sound great, made like Gretsch/Jasper shells, but lacquered inside and made of birch, not maple. 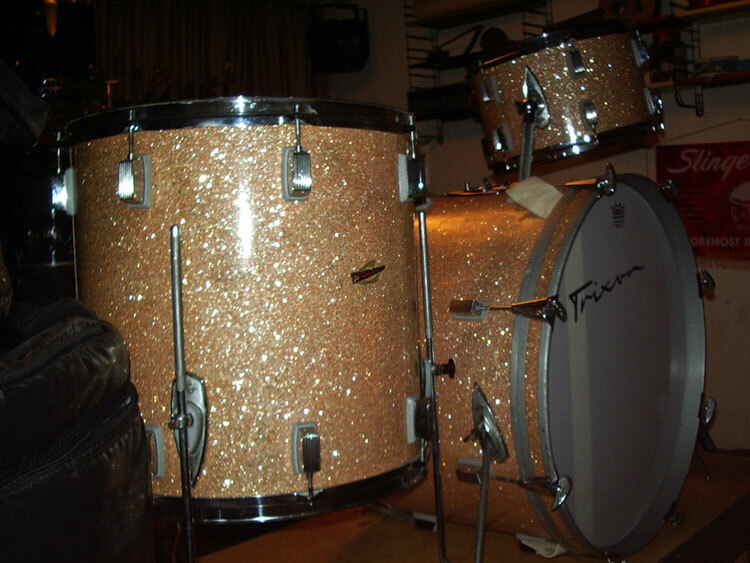 The snaredrum sounds great too, I have 2 extra snarewires, to keep it going with all original parts, no modifications here. The strainerarm moves/ loosens when you play works well with a little elastic rubber band. No need for a Nickle strainer! 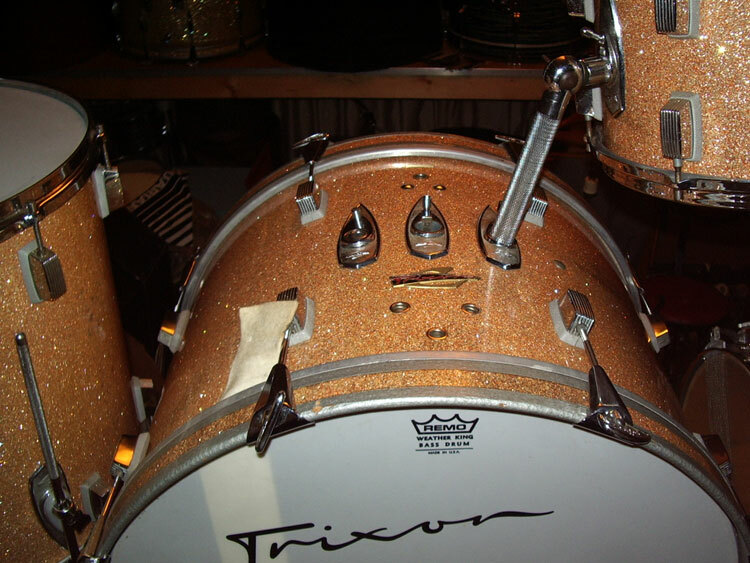 :) Take a look at the pictures, this is a real nice player set with the Trixon logo head, the Sparkle and the FAT bassdrum. If you like Brian B., Bernie D. or Buddy R. this is the set.